We’ve all seen before that Samsung copied the design of the Appl iPad. Recent commercials by Samsung also portrait them bashing iPhone 4S users who queued for the phone. Guess what was their latest michief.. they actually got the same actress from the iPhone 4S ad to act in their latest Galaxy Tab commercial video. However, Samsung has not commented on whether this is the official reason why the video was removed from their YouTube channel. 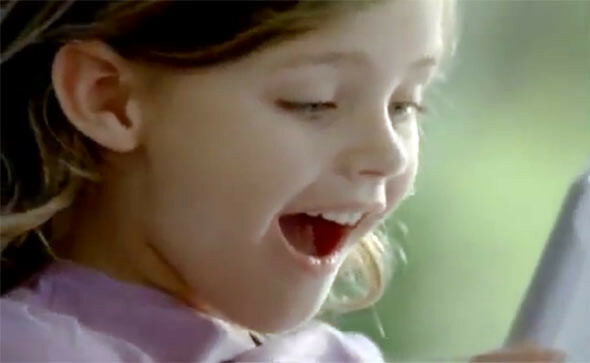 Check out this video of the Galaxy Tab with the little girl from the iPhone 4S ad. Now compare it with the iPhone 4S video. One Response to "Samsung Steals Actress From iPhone Ad For Galaxy Tab Commercial"
This is obvious mocking to Apple. Because of the pathetic apple’s patent s…ts. And you like a fish swallow the bаit. crowd outside apple-shop, secretly in love with Samsung. instead ? Or they now can only helplessly do “patent” clown-tricks?